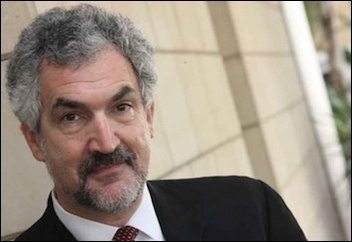 Middle East Forum President Daniel Pipes: The "first thing" a Republican candidate will do if elected U.S. president will be to "tear up the Iran deal." A Republican victory in the US presidential election could result in the collapse of the Iran deal, says American political commentator Daniel Pipes. Pipes, who has served with the US defence and state departments and now heads the Middle East Forum, described the Joint Comprehensive Plan of Action (JPCOA) signed with Iran as a "very, very strange deal". "The (Iran) deal may not survive. If a Democrat wins, it would be more or less a continuation of the present regime's policies. Bernie Sanders would move to the left and Hillary Clinton to the centre," he told editors at Hindustan Times on Thursday. "But if a Republican candidate were to become the next US president, the first thing he would do on January 20, 2017, would be to tear up the Iran deal." Pipes said he would have preferred Iran's nuclear installations being "taken out". He added: "The deal offers Iran a path towards nuclear weapons. This is a regime that thinks about the End of Days and who know what they would do with a nuclear weapon." The historian who focuses on West Asia expressed doubts about the longevity of Tehran's current regime. "The Islamic Republic of Iran will not be along for a very long time. It is doomed. There is such hostility within the country to the regime that I see it like the Soviet Union in the 1970s...It's powerful, it's aggressive, but it stays on the boil." Pipes said the Islamic State (IS) poses a serious threat to global security. "I doubt whether the IS will last very long because it has so many enemies. But it has the potential to appear elsewhere, like Libya or Yemen, and to inspire individuals in other places in the world." He was critical of President Recep Tayyip Erdogan, saying Turkey had become "increasingly dictatorial" under him. "In the long term, more than Iran, Turkey will be a big problem," he said. Erdogan had strained Turkey's ties with all its neighbours and is pushing the country away from its secular moorings towards radical Islamism. Pipes believes India's engagement in West Asia and the war on terror is on expected lines as New Delhi is focussing on economic growth. But he said India, like China, will have to make tough decisions.